The exception: hemdwerk! See for yourself! We offer high quality products for the same price of ready-made clothing. Through online trading, we save on administrative and selling expenses. And you pay for expensive brand labels without the added cost. In conclusion: a customer orientated business philosophy and a cost effective plan means that the exception becomes the norm: excellent dress shirts at a terrific price! A tailored shirt must fit; it cannot move about too easily. Sleeves that are too short or too large, collars which are too wide do not exist for us! For first time customers: if you have been measured, received the shirt and it doesn’t fit, send it back for a replacement because: if it doesn´t fit, it isn´t it! This generous goodwill offer applies to all new customers who are buying shirts and means you can have an amendment or an entirely new product. We recommend that new customers buy a sample shirt. 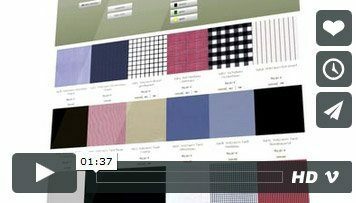 We at Shirt Factory have organised our production and distribution channels so well that you can have your shirt very quickly – often in just two weeks. Delivery time in other countries may vary as we are a German based company. Please see Payment & shipping. 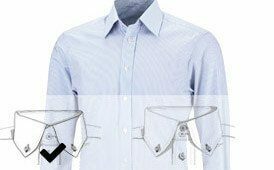 … Then we are happy to put these ideas into reality and together we will find the way to your new tailored shirt! We manufacture and produce in the same way that we would expect as a customer: We manufacture in the EU! And all of the materials that you find in our range are Oeko Tex 100 certified. There are multiple payment methods to choose from, the choice is up to you. Your data is completely safe. Sensitive data transfers are encrypted using 128 bit SSL Certificate (Secure Socket Layer). Your requests are not transmitted via email, but written directly into a database.